Although the Prime Minister of Latvia, Maris Kucinskis, preserved the role of the anti-corruption agency in the arrest of the governor, other members of the Executive branch have been added to the conspiracy theories that surround the case. Raimonds Bergmanis, the defense minister, declared through a public document that the accusations against Rimsevics would be a foreign operation. According to Bergmanis, there is a high probability that a massive disinformation operation is being carried out from abroad, which is exactly the same in its structure and execution to the communicational operations that were observed in France, Germany and the United States, before the elections.The statement also cites as an example of this alleged maneuver to misinform, a series of news published on different Internet portals that regularly do not conceive information from the economic sphere or have never published about Latvia in their portals before. Accusations of money laundering and alleged links of corruption with North Korea and Russia, a bank declared bankrupt and the Central Bank governor arrested. 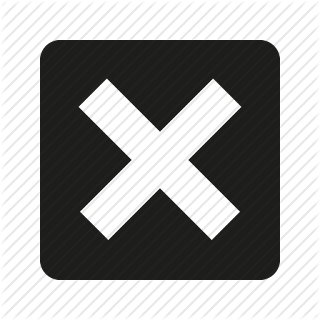 That was the disappointment that fell on Latvia after the United States administered all its artillery against the banking system of that country. Latvia, the small, but strategically important former Soviet republic, in the last two weeks, has been the scene of a saga that contains as many characters as accusations, and that confronts the interests of Washington, Moscow and Pyongyang.It all started when the US Treasury Department accused Latvian bank ABLV of laundering money. Then, the European Central Bank froze the payments to ABLV to avoid a "massive outflow of funds". With no more options for survival, the entity finally declared bankruptcy. The Anti-Corruption Agency of Latvia detained for alleged bribes the governor of the Central Bank, Ilmars Rimsevics, who denied the charges and said he feared for his life. 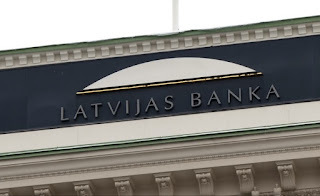 As if that were not enough, the defense minister of Latvia declared that there was a "disinformation campaign" orchestrated from abroad.Russia and North Korea have continued in silence, while doubts about the possible fall of other Latvian banks are rising. These are some of the keys that can help to understand how this political-financial web is developing. The United States Financial Crimes Network (FinCEN), which reports to the Treasury Department, has accused Latvia's third largest private bank, ABLV, for having pondered money laundering as a pillar of its business practices. The government, in the same document, said that the wrong practices in the banks provoke a wide range of unfair behaviors, including the activity related to the North Korean weapons program and corruption related to Russia and Ukraine.Washington blocked the financial institution, the European Central Bank imitated it. The declaration of bankruptcy was the next step and in that way ABLV was buried. According to US and European authorities, Latvia, one of the three Baltic states that gained independence after the collapse of the Soviet Union in 1991, has a long history of allegations about its alleged role as a "paradise" for Russian money laundering.